Introducing our new little 6 " mini Highbanker / clean-up sluice to the family. I've been using this for the past 6 months for backyard cleanups and hiking into the jungle, runs on a 1100gph bilge pump which draws around 3.3 amps per hour, comes standard with mini cell dream mat and vribb mat as well as rear water feed and cross slotted spraybar. I've sent out around 14 of these units so far feedback is awesome, I look forward to hearing your comments like or or hate it. 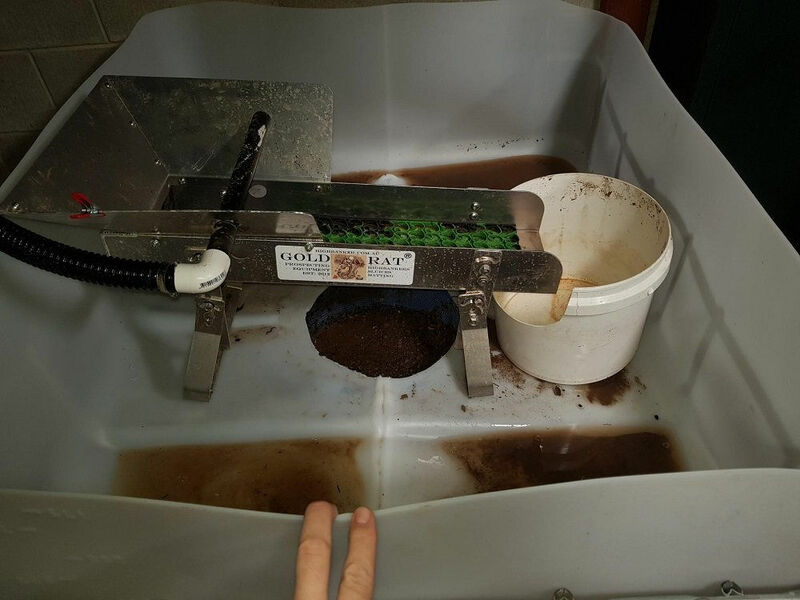 I Thought i might share a photo from one of my customers whose using the 777mini crusher with my little 6 inch mini clean-up system. i like em,but i don't like the price,no offense. do you include a filter to go round the pump end for when things get real gritty? i found shadecloth works great for this. no offence taken mate, please help me understand your thinking. what are you comparing it to? 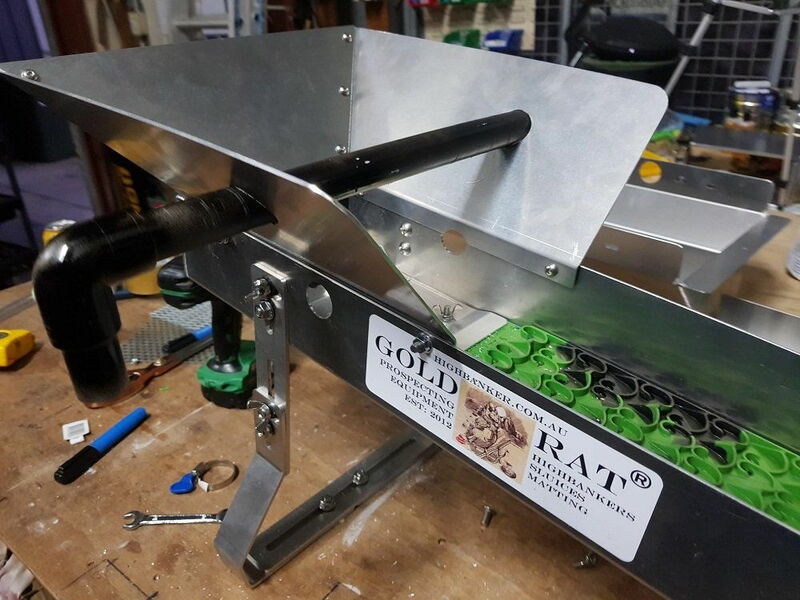 I'm very open to discussing these things and eager to hear your logic as very few people actually have any idea on how much it costs to run a business and manufacture and support a range of over 125 components for the gold rat range. Let alone produce a laser cut tig welded end product. We only use the best structural aluminium and marine grade where applicable. The pumps are the best quality pumps from testing i feel the pump is the heart of your recovery equipment so why cheap out on something like a pump for a sluice that wont work if it fails. Each one of my products has many hours of engineering and testing with industry, Geo's, mine owners, universities, prospectors all offering their feedback and results before taken to market. The capture rates of this mini dream mat cast right here in QLD in Urethane are astonishing and that mat should last for many many years I have nothing but amazing feedback from every single customer. So I'm very interested in what you think is expensive i'm all ears and open to perspective. Back to your question do i supply a second filter for the pump which comes with the required screen particle size filter? no the pump comes ready to go with the particle size screen required, any particle that passes this screen can pass through the smooth bore hose supplied in the full kit which includes pump hose legs etc. If you have issues with junk in your bilge i recommend placing your bilge onto a sieve and having the edge of the sieve just poking above the water whihc prevents debris from floating into the pickup area. If using shade cloth it important not to place it directly onto the bilge or you risk burning out the impeller, using mesh on a larger bucket or chicken wire pillow works well. comparing to my own home built system,it's expensive. having used these bilges,which are a generic oem,it was a suggestion more than anything about the filter. 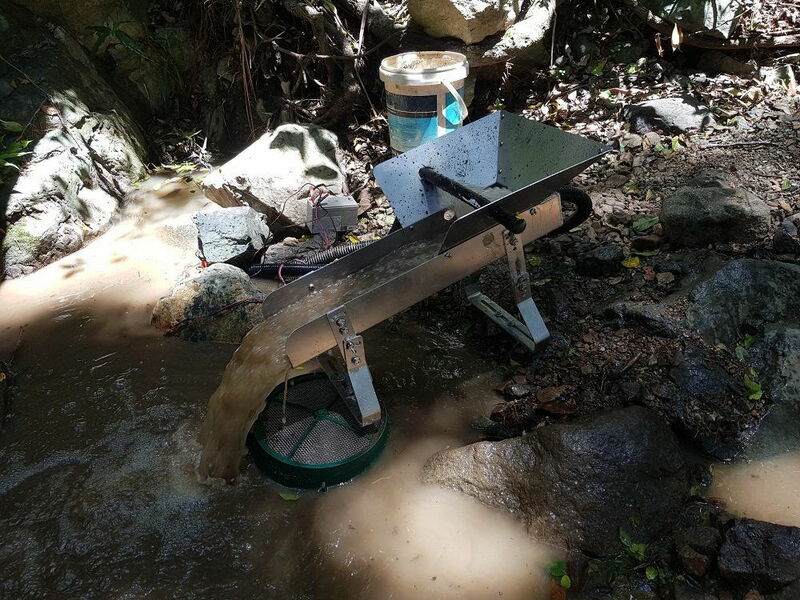 after 100kg of material,the water gets plenty silty. 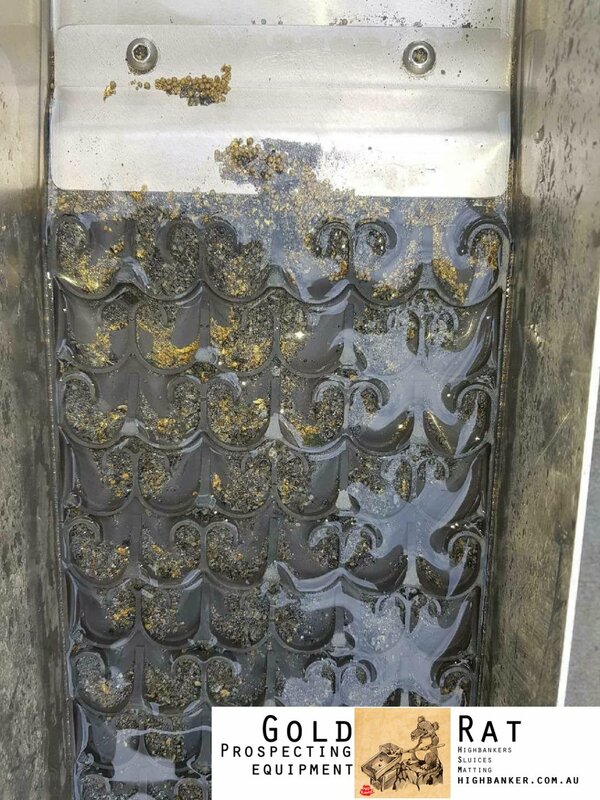 the shade cloth helps larger particles from blocking your bilge,it's also worth back flushing the bilge with clean water when finished. the most expensive part in this system would be the vortex matting. hey mate fair enough, making ones own equipment is certainly the cheaper path and there's no pressure to buy anything but isn't it great that you cna buy something that's made ready off the shelf. yes i agree with recirculating water, i use a reverse riffle to pull junk down and if using particularity muddy water i.e. crushing mud stone or shale/slate you cna add a small piece of miners moss under the reverse riffle to filter out, similar to what we use in the header boxes. I own Gold Rat high banker and I must say they are amazing value and in my opinion one of the best gear you can buy if you want the best. I had mine next to a Gold Hog which cost 2x as much (not including the shipping from US) and I reckon it is very comparable in quality if not better. The ease and simplicity of operation and clean up with the dream mat is better than the Gold Hog for me anyway. This stuff is made right here in Australia by a seasoned prospector. Taking in consideration all the time and energy put in to development of Gold Rat products, the price is low for what you are getting. I have owned 3 bankers and Gold Rat is like comparing iPod to a tape deck with the other 2. Almost everything will catch gold but I like things that work straight of the shelve rather that messing around building something instead of having a dig. And no I do not own any shares in Gold Rat engineering. Just a very happy customer. 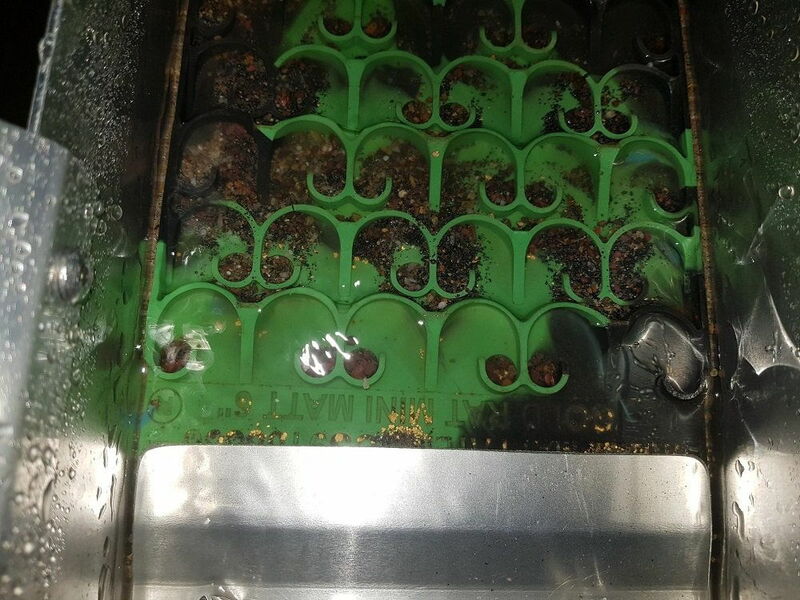 We use two cheap Bunnings toy boxes, the sluice drops into the first, the water overflows (via connecting pipe and removable filter) into the second where the pump is placed. Of course the water gets muddy but passes through pump back to the sluice with out blocking. 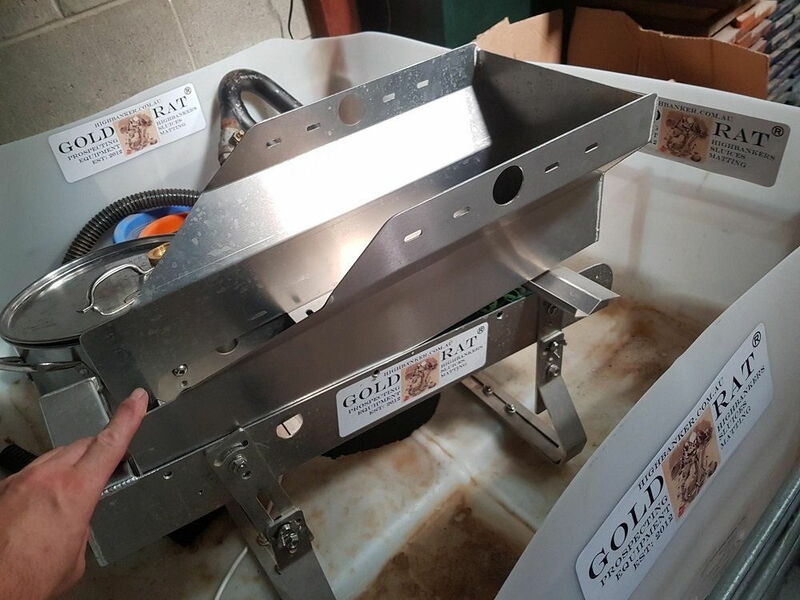 Haven't used your Gold Rat to date, you kindly donated to a competition, maybe this season. 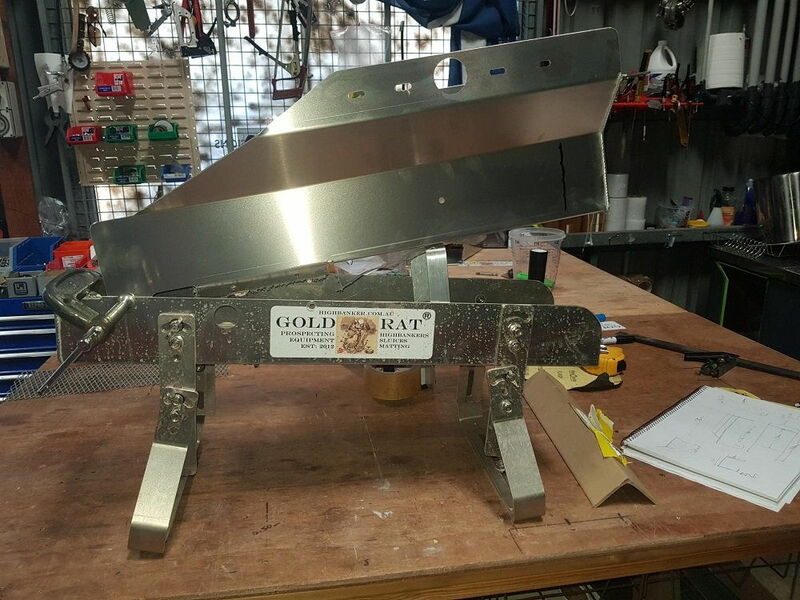 Another happy customer here, I like that when I buy a gold rat product i know that it will work as advertised and be well made. Even the welds look good. I was planning to build a little power head for my 6” Gold Rat sluice, but for the price and specs (adjustable legs etc.) this looks like a better option. Any further feedback or advice from owners? Does anybody know the max voltage the Rule pump will tolerate? I’m thinking of powering it with a 6Ah drill LiPo to keep the carry weight down. Any chance you might make a dinky little forward classifier for this one G0lddigg@? I got both 6" mini high banker and river sluices. So far burnt out two pumps. Using the mains power converting down to 12v need to place a fuse in the circuit. hey Ward69 100% need to run an inline fuse to prevent burnout, 12v DC should be run from a 12v battery, if running from mains make sure you're converting from AC to DC. hey mate 12v is what the rule run on i wouldn't stray from that, I run with and a 7.5 amp fuse and a $50 go cart battery that gets me two hours run time which is heaps for me. Well i dont think its any secret the 6 is by far my favourite bit of kit these days i take it everywhere and absolutely i've been tinkering, a few options have been tried and tested many not practical for the size but fun anyway. in the end I've settled on a full highbanker conversion as the most practical and simple modification that can be done on the user end. I really wanted the flared header to work and it does to an extent but with me having big hands i wanted more head room to rake and dump material so this is where i'm at. maybe i should offer both options and let the you guys decide but i found the small feed prohibitive at times once id bought the walls in a further 2mm each side. Most likely early feb i'll release the bare highbanker hopper as is one piece hopper, perf plate and support rail to hold rearward pitch on the header. Top bit of design fabrication there! Should be faster than panning. Have you got a rough estimate on how much this unit will cost as a package with hose, battery and bilge pump? 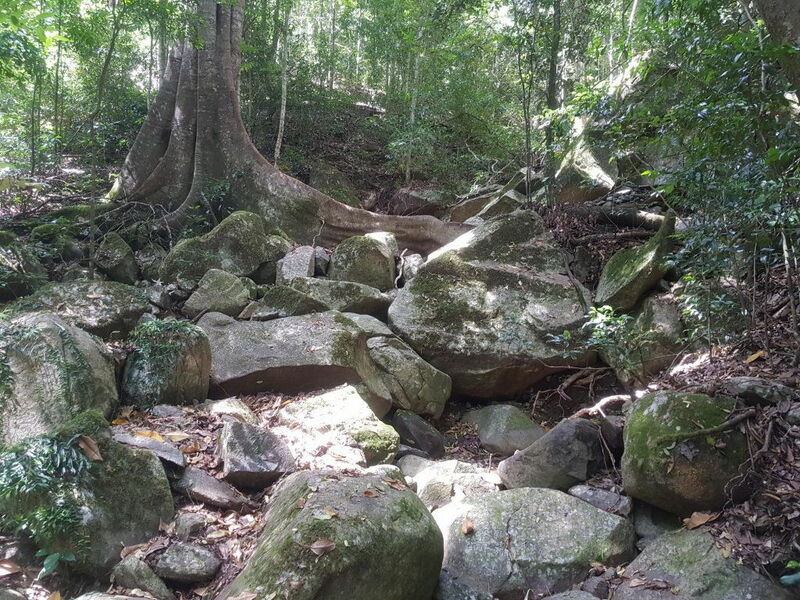 Looks like this could be taken on a hike to those streams a couple of klms from the parked 4x4. i've found too many restrictions on shipping batteries using our main couriers but will be exploring a different service once we find the right supplier.